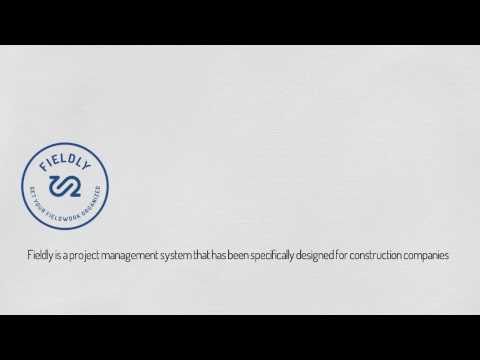 Fieldly is a project management system designed for construction companies of all sizes, providing a range of tools for supervisors and field workers to access and manage work orders, quotations, invoices, checklists, reports, and more, all in one location. Native iOS and Android apps give users the flexibility to manage projects and work orders, as well as report time, trips and expenses anytime, anywhere via mobile devices. The mobile app also allows users to send field reports and communicate with remote workers on the go. Fieldly enables supervisors to manage all aspects of the construction process, from quotation to invoicing, in one place. Fieldly captures billable costs in real time and records timesheet, mileage logs and material consumption data automatically, ensuring all project information is recorded quickly and accurately. With Fieldly, supervisors can also send quotes, handle work orders, assign projects and generate time, travel and expense reports, as well as manage employees, create checklists, attach documents and images to projects, and more. Fieldly enables field workers to access up-to-date work order information directly from their mobile phone. Field workers can also manage who is assigned to work orders or projects by adding or removing contacts. Directions from Google Maps help field workers locate their worksite and find the quickest route there. Users can communicate with each other by leaving comments on projects or work orders. Field workers can view documents or checklists related to their projects and sign work orders digitally once the work order is complete. Fieldly offers additional features for larger companies including multi-level projects, department management, global projects, roles management, custom groups, and more. Decreased my administration time with 50 %With great design an powerful features Fieldly really solves the day to day issue and smoothen up all internal communication. I like the clean interface and especially the mobile apps that are very easy to use and quick to learn and get started with. With great design an powerful features Fieldly really solves the day to day issue and smoothen up all internal communication. I like the clean interface and especially the mobile apps that are very easy to use and quick to learn and get started with. It makes work a lot of easier. It saves my time and money, it keeps you organised. It has a wide range of features but it is still simple and intuitive to use. It's automates employees reporting via mobile apps, clients and quotes management. It has a lot of hidden features, so you need to spend some time to learn this tool. Enterprise: Contact Fieldly for pricing information. Native iOS and Android apps allow users to manage projects and work orders, as well as report time, trips and expenses on the go via mobile devices. Users can communicate by leaving and viewing comments left on projects and work orders. Use digital signature technology to sign off on completed work orders conveniently via mobile. Field reports allow users to document work accurately with text and images. Users can also use expense reports to record and report on materials automatically. Collect accurate billing data automatically, then send professional invoices to customers as soon as the job is done. Below are some frequently asked questions for Fieldly. Q. What type of pricing plans does Fieldly offer? Q. Who are the typical users of Fieldly? Q. What languages does Fieldly support? Q. Does Fieldly support mobile devices? Q. Does Fieldly offer an API? No, Fieldly does not have an API available. Q. What other apps does Fieldly integrate with? Q. What level of support does Fieldly offer?